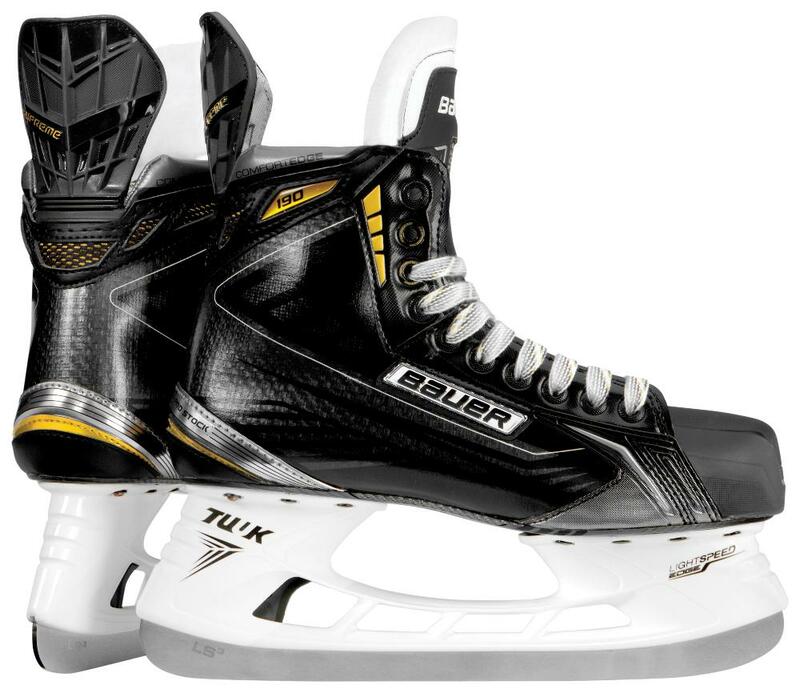 Bauer Supreme 190 Youth Hockey Skate | Sports Etc. The Bauer Supreme 190 Youth hockey skate is as good as it get’s for smaller skaters. The maximum wrap, anatomical ankle pads and Thermoformable-Full upper give this skate the ultimate in fit and performance for the skater who has not broken the size 1 barrier yet. Bauer Supreme Anatomical Fit– Naturally close fit around the entire foot. True 360-degree custom fit for maximum wrap. Good for normal to slightly full feet. Sports Etc Performance To Value Rating– 8 out of 10- A high performance a skate for a younger hockey player playing at a mid to high level.